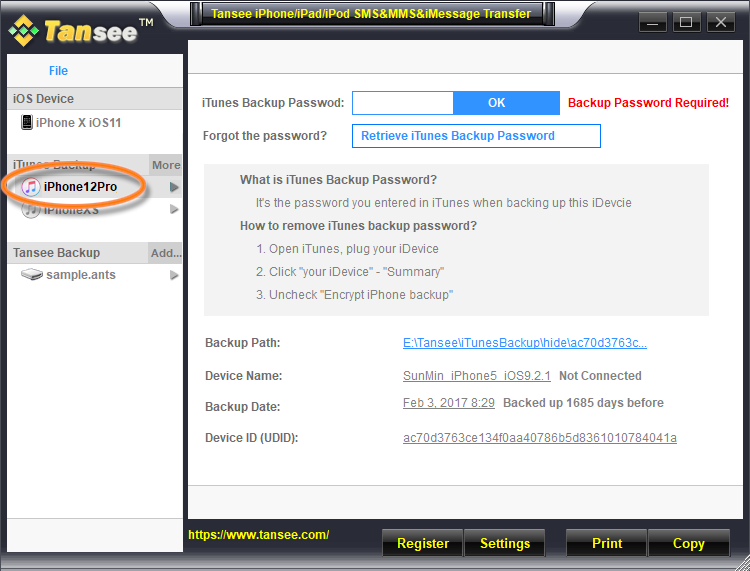 - Backup iPhone/iPad/iPod SMS, MMS, iMessage, Contact and Contact Photo to Windows computer. - Backup SMS & iMessage & MMS & Contact & Contact Photos (including attached photos, audios, videos, and other attachments) to PC. - Backup WhatsApp Messages (including attached photos, audios, videos, and other attachments) to PC. - Print SMS&MMS&iMessage&WhatsApp Messages out and have them be seperated by date and "sender" and "receiver". - Retrieve Deleted Messages & Contacts Directlyfrom iPhone/iPad/iPod. - Retrieve deleted Messages & Contacts by extracting iTunes backup files. 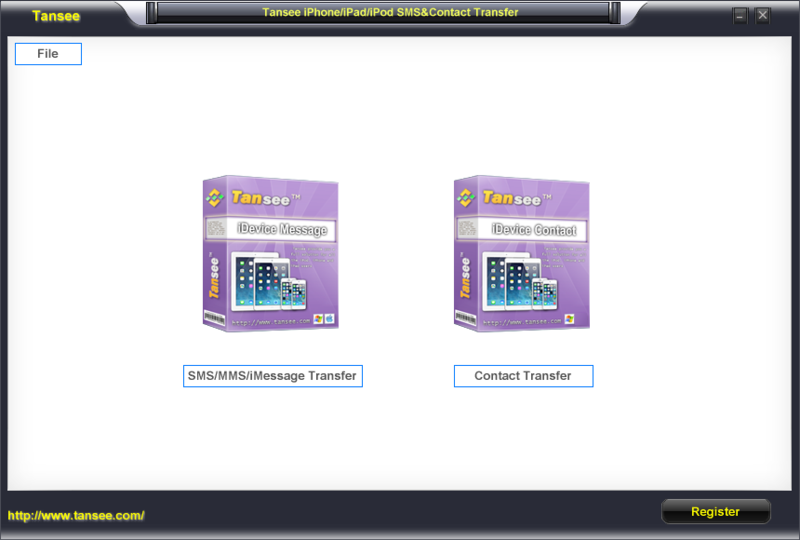 3, Easy to use: Tansee is simple to install and easy to operate and has a user friendly interface. Backup to any folder: You can easily and quickly backup your SMS & MMS & iMessage & Contact from your iPhone, iPod touch, iPad to your PC. 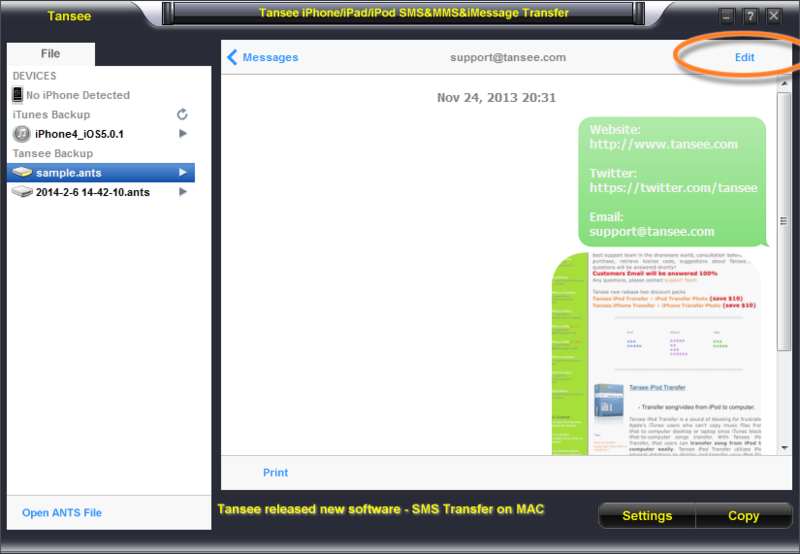 4, With secure Tansee online store, you can process your order safely. We accept Credit Card, PayPal, Bank/Wire Transfer, Check/Money Order, Invoice. 5, Quick Email Support! Tansee has established two support teams for building a fast response to customs. Any questions, email to support Team, we will answer your e-mail within 24 hours all year round! 6, Upgrade Free! Just one time fee. When new version available, you will be notified by the program.